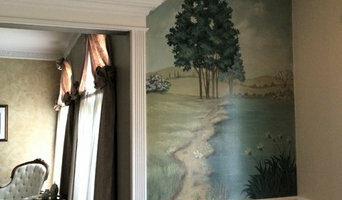 Tom Henman Decorative Painting, LLC is a full service decorative and faux painting company in Lancaster, Pennsylvania. He works with designers and homeowners to maximize the design potential of a project. Tom specializes in: -Venetian Plaster -Metallic Plaster -Lacquered Kitchen Cabinets -Glazes -Gilding (gold, silver and copper) -Wood Graining -Marble -Stenciling -Antique Mirrors -Intaglio Relief -Color Consultanting and more Tom Henman Decorative Painting, LLC offers many finishes to accommodate a variety of tastes and can customize any finish to coordinate with the décor. Contemporary or traditional, sophisticated or rustic, Tom can develop a custom decorative finish that enhances your home. There are vast and varied styles of artwork and murals, theme rooms, children’s rooms, faux painting, and trompe l'oeil that I make available to my clients. The only aspect of my service that remains the same is that each application is a one of a kind work of art and carefully created and suited to the clients' specifications. 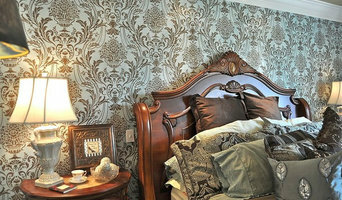 Surround yourself with hand painted murals, textures, and paintings to suit your personality and invoke a desired mood. 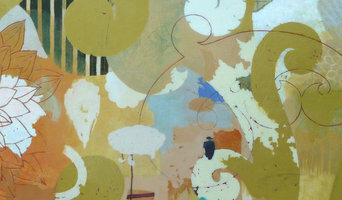 Julie Riker has been working as a self employed artist for 20 years. She holds a BFA in Illustration from the University of the Arts and, after graduating, worked as a decorative painter on the historic restoration of the PA State Capitol Building. 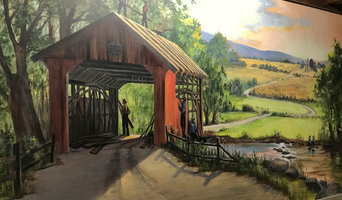 Her background in Illustration and Fine Art as well as her experience with historic restoration allow her to bring a unique artistic yet meticulous touch to her interior projects. She has worked in many homes, churches, and businesses to create special finishes or to restore/repair specialty work. 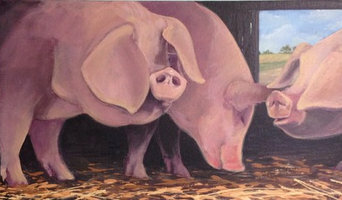 She also accepts commissions for fine art paintings and some of her work is available on her website. I'm an expressionist artist. Inspired by stories, my fine art is often colorful, expressive and sometimes abstract. Without always trying, I tend to explore themes of home, identity, community, and legacy. I've exhibited work in local shows -- the Mt. Gretna Outdoor Art Show (2015) and the Trattoria Fratelli Summer Season (2016), and painted murals in the Lebanon and Lancaster areas. I have originals available on vaniahardy.com, and I'm open to commissions for fine art, illustration and murals. Illustration samples are on vaniahardy.com/illustration. Prestige Painting is a family-owned business based in Lancaster, Pennsylvania. We provide expert interior and exterior painting services for agricultural, commercial and residential clients. We also offer a full range of complementary services that include powerwashing and sandblasting, staining and sealing, and barn restoration. Although the company was founded in 2012, owners Shawn and Dan Stoltzfus' painting experience goes back many years. They pride themselves on their expert craftsmanship combined with knowledge and use of the latest advancements in technology, surface preparation and coatings. Have your wheels been turning over what to do with a room in your home? Do you know the look you want but are not sure how to accomplish it? Have you created pin boards and need someone to assist in pulling it all together? Do you have old furniture that needs updated, bare walls that need some artistic flare, or good ideas but don't have the time to get them done? Just give me a call... I can help bring your vision to life! Freelance Illustrator that does custom work on commission for any decor. F & M Painting Co.
We're a full service painting company based in Lititz, PA.. We do interior, exterior, commercial, residential, and industrial work. We do wall coverings, epoxy floors, cabinet refinishing, drywall, light carpentry, and power washing.